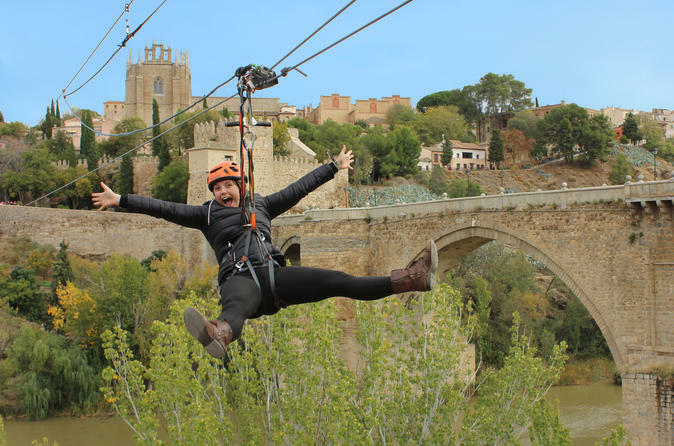 A perfect combination of culture, visiting Toledo on your own and an outdoor activity, the longest urban zipline. Do not miss this unique experience. You will also visit The Old Synagogue of St. Maria la Blanca, which remains as a symbol of the coexistence of multiple cultures in Toldeo, The Monastery of San Juan de los Reyes and The Cristo de la Luz Mosque. This is one the most visited cities in the world. Take advantage of this excellent opportunity to learn the city like a local. You will also take a ride on the longest urban zip-line in Europe.